A lady with good looks and a great personality! 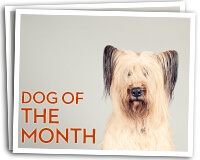 That’s Pepper, the Dog Day Getaway, August 2017 Dog of The Month! We know, you’re busy; you often come home tired and aren’t really up for even short dog walks. But, walking has its advantages and perks for us humans, but did you know there are 5 really great benefits to dog walking? Frozen Yogurt Treats For My Dog? Yes Please!